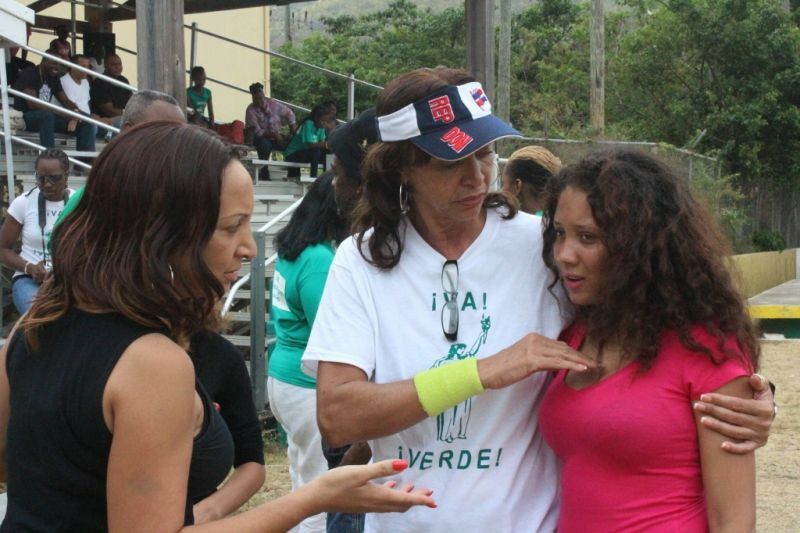 ROAD TOWN, Tortola, VI – Ms JoAnn ‘Roxie’ Romney, who unsuccessfully contested the Fourth District, has pledged her commitment towards continuing to advocate for the improvement and development of the Fourth District and the territory as a whole. 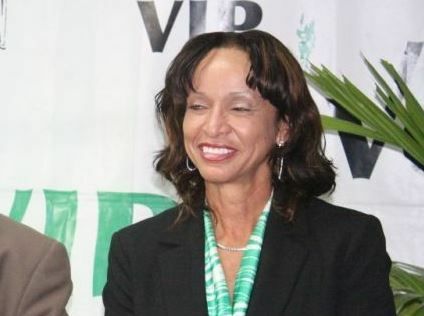 Ms Romney made a first attempt at gaining a seat in the House of Assembly of the Virgin Islands, but lost to incumbent District Four Representative Honourable Mark H. Vanterpool who will also remain as Minister for Communications and Works in the National Democratic Party government that swept to victory at the June 8 General Elections, winning 11 of the 13 seats. In a previous interview with this news site, Ms Romney had expressed her passion for youth and said that one of the things she would have worked towards as an elected representative was to establish a trade school. “This would be offering skills to enhance one’s ability to have a sustainable job. This would allow one to find skills for better job security,” she said. Ms Romney said that while the existing technical school is a good thing she believes it needs to be expanded to the level of a full-fledged technical school that would best equip young people to enter the job market. As Ms Romney conceded defeat, Honourable Vanterpool in turn said he respected the challenge of Ms Romney and noted that she had some bright ideas and ran a clean campaign. He noted that Ms Romney would have had a major task to defeat him as he has been "entrenched" in the 4th District for years. The incumbent, however, encouraged Ms Romney to not be discouraged as he noted that his first attempt for office was also unsuccessful. “Let me take this opportunity to thank everyone who voted for me and believed in my genuine desire to serve you. To this honour, I will be forever grateful that you put such trust in me. Please know that my journey has only begun and I will endeavour to build on the trust you have bestowed on me,” she also said. “Last but not least, with a big heart, I would like to thank my campaign support team! You gave me immeasurable commitment and guidance above your own which instilled in me the strength and confidence to do what I could never imagine without such invaluable support,” Ms Romney stated. Look losers in one pic !!!! Roxie save your efforts. Dis place is not worth fighting for. Let the Ndp tek it and do what they want. The level of corruption is so steep in dis place that even the ten foot pole fraid to touch it lest them corrupt that too. Up today you could hear how ndp pay for a woman flight from the states and give her $2000 to vote for them. 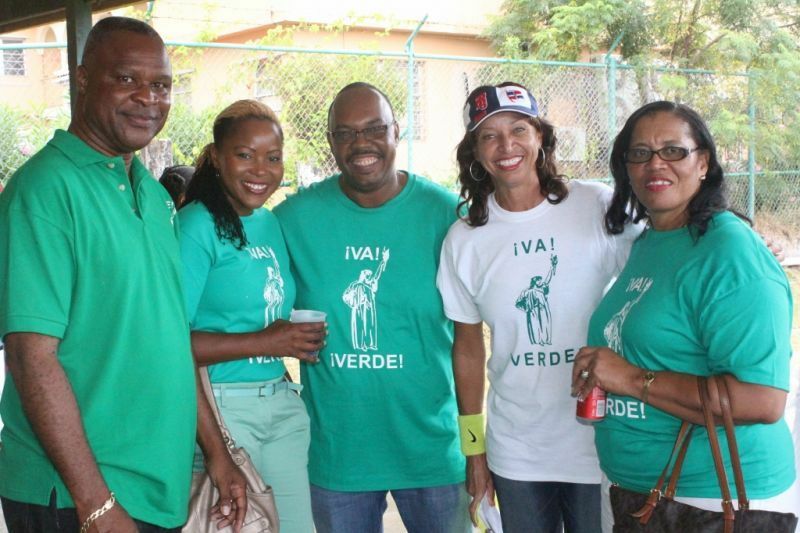 Couple students no doubt got ticket paid for to come back and vote most them first generation born and have not even contributed to the building of the bvi or its development. The money that bought election votes maybe come from that alleged $15 million taken from social security. Dem could not create an unemployment fund to give people who worked and build bvi for upteen years but they could up and buy votes. The people who vote for them love corruption and the ndp provides it. Dem make a fine couple.so who you trying to save? You were the better choice. Roxie, the true test of any real politician is not when they are up or when they win. It is when they lose and overcome adversity. That's the metal of real political strength and fortitude. Stay with it and continue to support the people of the 4th district. People have long memories for the underdog. And, if I may be so bold to use a tennis maxim with your political aspirations - You have in your future a "return of serve" which few understand better than me. With that congratulations, Mark. I wish you the very best. You and Roxie indeed ran a clean campaign and both of you should be lauded. You are absolutely better for D4 than the person voted into office. That individual has done nothing, absolutely nothing for the district. Disgraceful! Road Town is a mess,. We should all hang out heads in shame. Certain persons brag about the number of tourists brought into the territory when, in reality, the town looks is a slum, a ghetto. What peopel in their right minds would find this something to brag about? When elected officials, obviously, do not demonstrate a sense of pride and dignity in the country, then we are on our way to hell. Some decades ago, the people in the BVI were a proud people. This was especially exemplified in the way town people carried themselves and in the values they held. Today it is the opposite. It is Ghetto-land. People in certain positions such as teachers, religious leaders, and politicians should be role models, but many are not. It appears that they take advantage of the ignorance of the wretched of the earth. While the wretched of the earth seems to be stuck in the situation to which they have become accustomed, the trickster, and by extension, their spouses and children are the beneficiaries. One wonders when the people in the BVI are going to wake up? Or, one should ask, when leaders will be righteous, just, and moral? These are the qualities that the country now lacks and definitely in need of. To Truth Teller - 1 trillion plus the 2 last digits of Pi, likes for this post. I couldn't write it any better. You should be ashamed of yourself to write this post!! You live on an island and describe the town as a ghetto, yet I am sure you are not a member of any progressive club in the BVI, be it Rotary, Lions etc. You sit back and blog and write such disgusting posts, ranting like a spoiled brat!! It is quite obvious from this post that you are not at peace with yourself, miserable and very ungrateful for your "Ghetto -Land", which has come a long way, and to anyone with a bit of sense knows, it has a long way to go!! And yet you not only read but reply to such post so what does that say about you? It is a ghetto land - prove that it isnt instead of trying your Dr Phil wanna be talk. The "Stenchel No 5" in town is back. Don't you smell it? Or is this normal for you? The problem with you ndp supporters is your standards are either too low or non existent. Further more, if you are part of a progressive group you dont have to big up yourself. The public should be able to see and do it for you. What is wrong with ayo egos? Ayo thief the election and still have esteem problems? You mean the pay off money didnt take care of that? Yuh aint even suppose to be on here. Dat money should have taken you to some exotic trip where this place was the last thing on your mind. That's right, TRUTH TELLER - tell the truth! Just like United PIP, I couldn't right it any better myself. Father, please help us. @ truth TELELR .stop talking pisss.she come back again. THIS time she Wouldn't pass 100. While i applaude your efforts to continue, i can only ask why now? put your money where your mouth is - Action speaks louder than words!